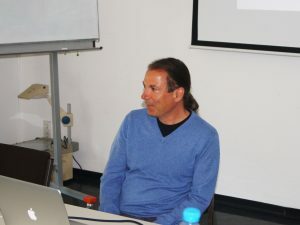 Prof. Rehbein welcomed the new batch, shared a short history of GSP and his experience with programme. 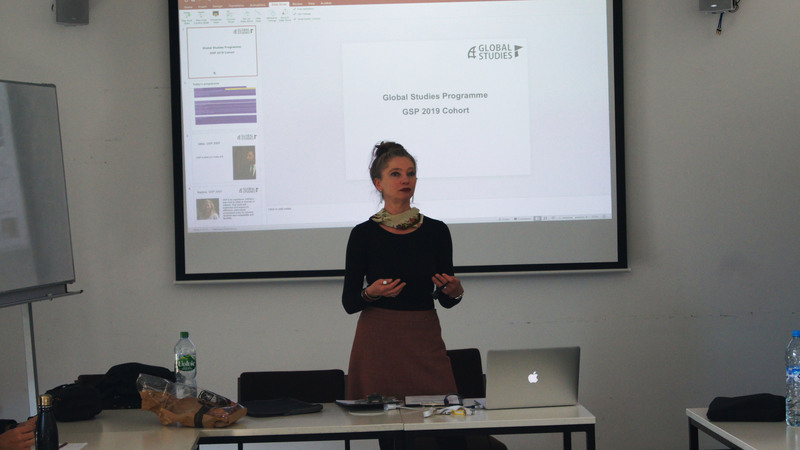 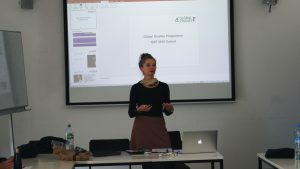 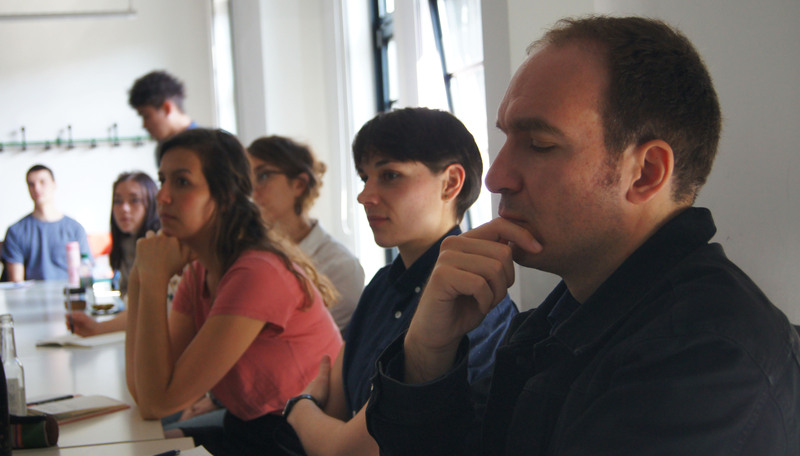 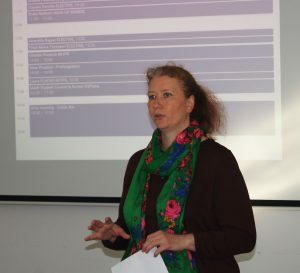 Prof. Claudia Derichs shared her research profile with the students and introduced her course offered for GSP. 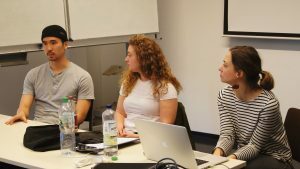 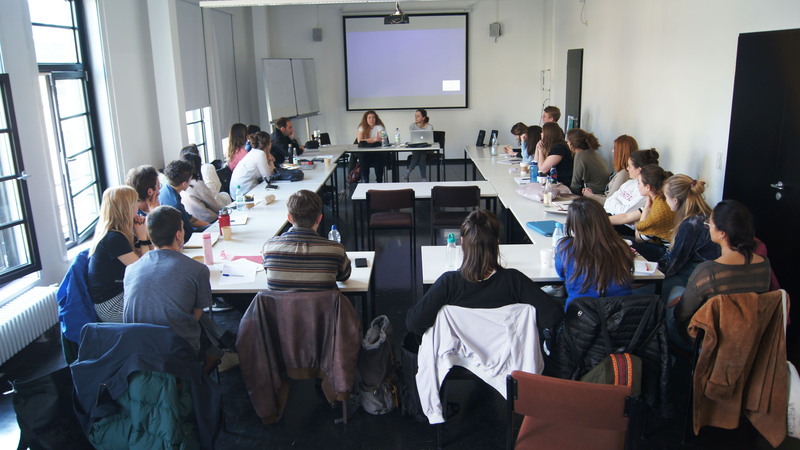 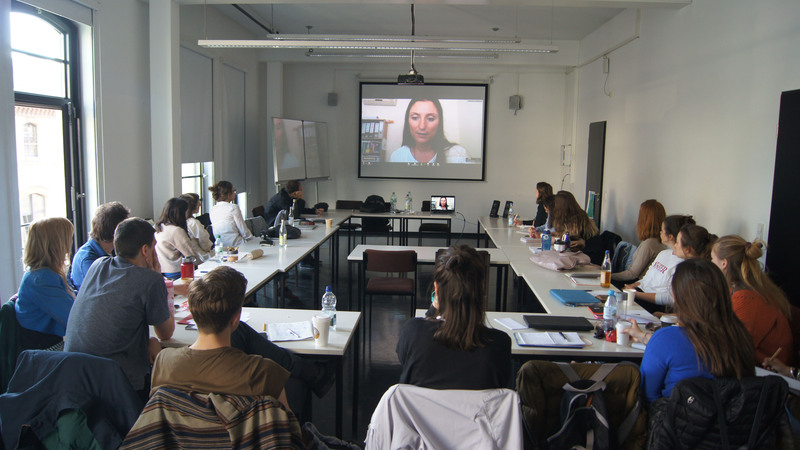 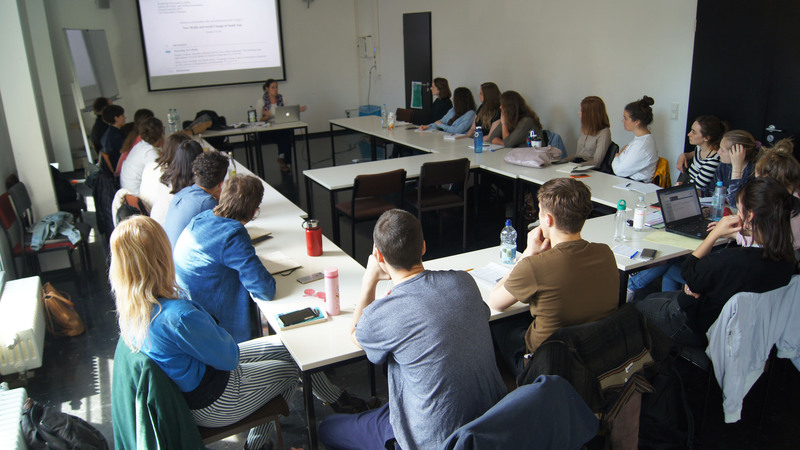 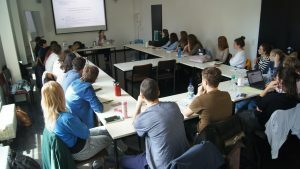 Prof. Andrea Fleschenberg dos Ramos Pinéu shared her research experience and talked about the importance of critical social science research. 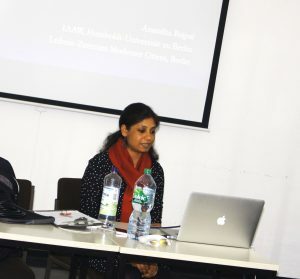 Dr. Anandita Bajpai introduced her course. Dr. Fritzi-Marie Titzmann introduced her course. 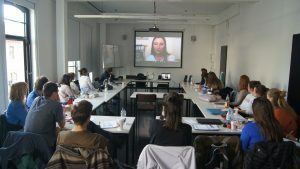 GSP Coordinators from Argentina, India and South Africa participated in the meeting via video conference and received questions. 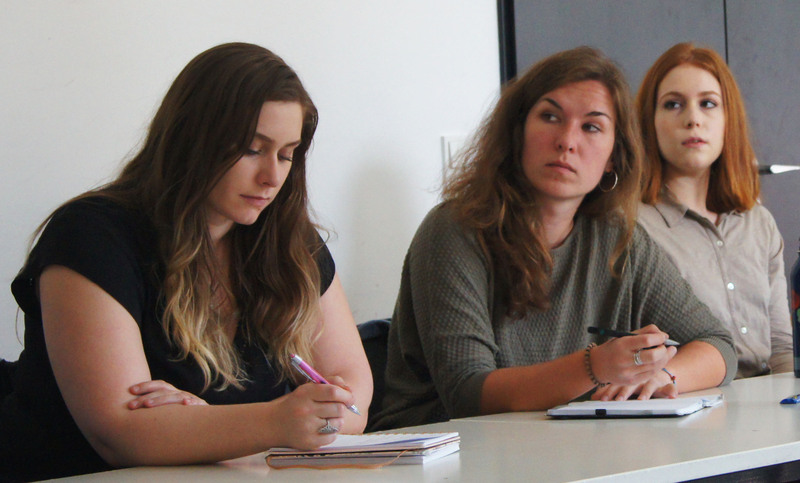 GSPians from earlier batches shared their experience with semesters abroad. GSPians John Vu, Heather Moore, and Marta Kusnierska shared their GSP experience with the new group of students. 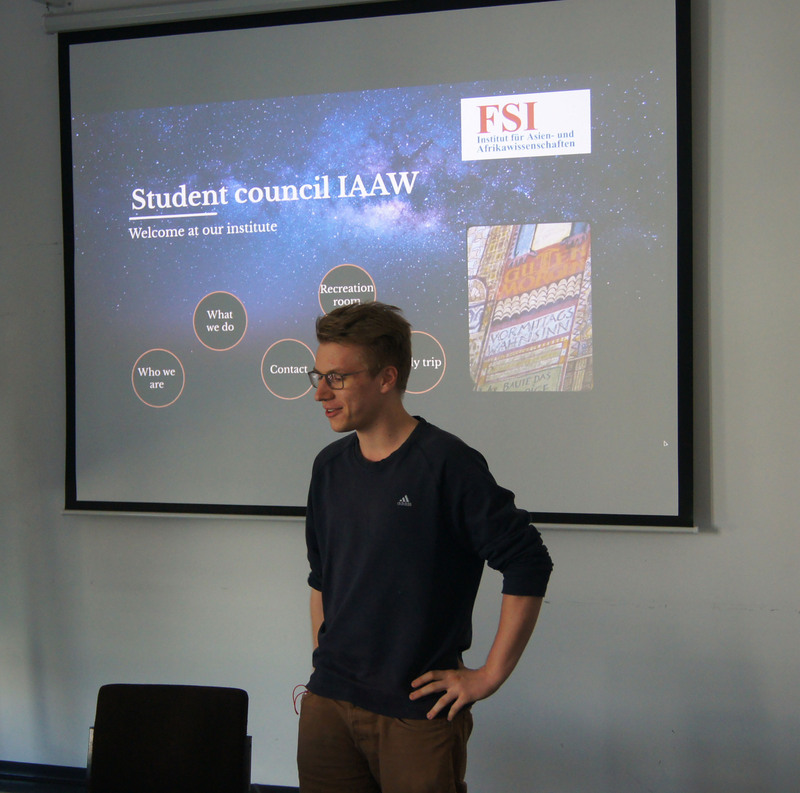 Student Council representative Domenic Teipelke welcomed GSP students on behalf of IAAW students and shared ideas about working together. A long day was finalized at a beer garden with the participation of GSPians from different batches.